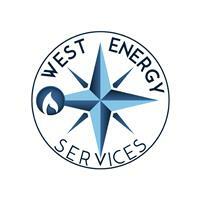 West Energy Services are a newly formed Gas, Heating and Plumbing company. We work in Edinburgh, the Lothians and Fife. We are fully qualified and insured to work on Gas, Heating and Plumbing. Commercial and Domestic Boilers, Radiators, water heaters, cylinders, controls. cold and hot water systems, general plumbing, drainage, taps, toilets, showers and bathrooms. Please feel free to email or phone with any enquires.